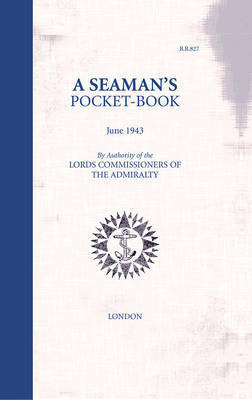 At the height of the Second World War this small pocket-book was issued to all ratings on board ships of the Royal Navy. In straight period prose it outlines all the basic expressions and tasks a seaman needed to know to perform his duties efficiently. Chapters are broken down into: Sea Terms; Navigation; Steering the Ship; Rigging; Anchors and Cables; Boatwork; Miscellaneous (which includes details on uniform and folding a hammock, etc); and Ship Safety. Functional black line illustrations are used throughout, as well as a few pages of colour (used sparingly) for flag recognition. Faithfully reproduced, with a short introduction by Brian Lavery, which explains the importance of a book like this to a navy that had to take on vast numbers of civilians or Hostilities Only men to meet the manning needs of the war, this volume provides a real mixture of wartime nostalgia and historical authenticity. It makes a world now lost to us accessible again, explaining as it does the terms, skills and conventions of ship board life, a life that required a common language, and where failure to respond to orders instantly could mean the difference between life and death. The book is sure to appeal to those who served in the war as well as the current generation who are becoming increasingly interested in the role their grandparents, fathers and uncles played during that time.